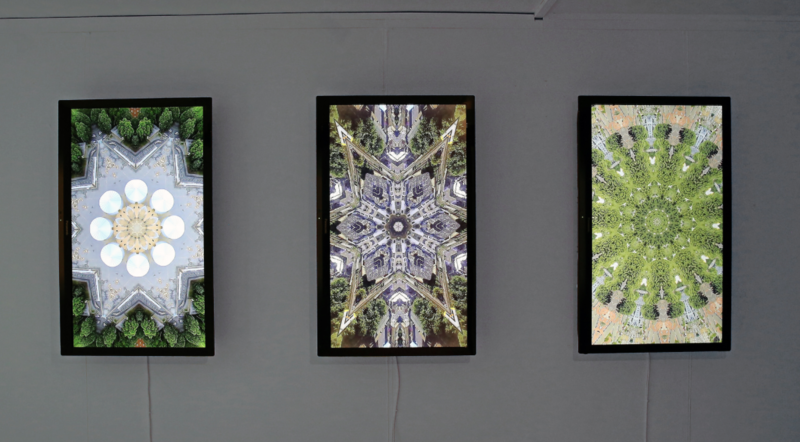 James bridle is not only an artist and an activist, he is also a writer and a publisher and has appeared in magazines and newspapers like Frieze, Wired, Domus, the Atlantic and many others. He has a master degree in computer science from University College of London and wrote his dissertation on creative applications of Artificial Intelligence. Bridle also lectures regularly at conferences, universities and other events. The Right to Flight was a four month installation, event series and ongoing research programme investigating technical infrastructures, surveillance, ballooning, and utopias. Ballooning has taken a dark turn since the zeppelin raids of the first world war to the use of surveillance-balloons in Iraq and Afghanistan and on the US/Mexico boarders. James Bridle is in a specific case talking about a stolen car which is found trow Automatic Number Plate Recognition (ANPR) in northeast England in this text he is describing how a system like this is making every car a potential suspect, and how the surveillance-community suddenly becomes visible, and take a physical shape. I have always been really interested in how our community has become an surveillance-community, the way we store images, knowledge and numbers in our cloud, for instance. How you can find an answer to nearly anything in the “cloud”. How our focus has moved from the physical to the not physical – metaphysical. How Apple would be able to place you at a crime scene if you are owner and user of an iPhone with finger and face recognition. The norm is to tolerate that without questioning. I think James Bridles project is interesting because he’s making those data unusable, data that is highly important in the way we are interfering and meeting each other today. Data which is not physical any more but have a high value in its metaphysical form. I did a project earlier this year about how we began in some contexts to weigh the aesthetics higher then the function, and in some cases the understanding as well. And I think what James Bridle is doing can be understated in a similar way. When you see graphical displays of books, posters or clothes etc., you begin to see a rhythm of incomprehensible elements, repeatedly one sees that a particular artist or designer chooses to use aesthetic elements like the Russian, Greek and Arabic alphabet as bearer of language. Some choose to use bar-codes or Gothic letters, ornaments that are clearly from another time, then the context it is viewed – used in. It is now only a matter of creating an aesthetically beautiful product, the recipient is now 100% uncritical and chooses only on behalf of aesthetics. 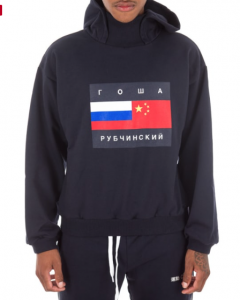 If you see Comme des Garcons for instance, they made a collab with Russian designer Gosha Rubchinskiy. In this colab there were t-shirts, hoodies etc with a text in Russian. I see people wearing this without knowing anything about the meaning of the selection of letters, they are only wearing it for the aesthetics and the fact that it’s popular. The connection I see between these two is that people of today’s society, the post internet generation, have such easy access to awareness – information, facts, news etc, that we have to some extent, stopped caring about it. We are choosing, consciously or unconsciously, what to be aware of and what we want to care about. Even though both Bridles footage and Comme des Garcons/Rubchinskiys design with the language/letters is filled with important and valuable information, the finished product in these projects is only an abstract form. Roughly said, we are ignoring the value in this information and only choosing to see the abstract result that gives us aesthetic pleasure.